Are you Polish and Proud? If so, please consider taking part in this years Hamtramck Polish Day Parade (Labor Day 2016). For more info go to polishdayparade.com. If it’s another warm and sunny day, please be prepared with hats, sunscreen and plenty of water for your group. which begins promptly at 12:00 pm (runners) – (walkers to follow). 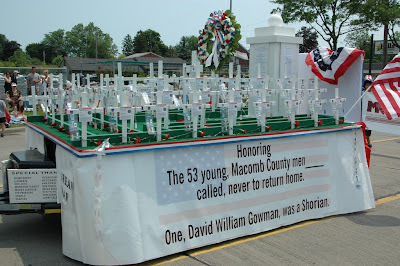 The SCS Parade is Michigan's Largest and Best Memorial Day Parade. Please keep your fingers crossed for another year of beautiful weather! Last years parade photos are online. Click here to view.